Is Now the Right Time for Home Ownership, and Is This the Right Home? Is Now the Right Time for Home Ownership, & Is This the Right Home? Buying a home is a huge step. It can mean more stability and a chance to gain some equity in where you live. But is buying a home right for everyone? It's important for people to determine whether or not now is a good time to buy before they actually commit to the time and money involved. There are several very important factors to consider when deciding on whether or not to buy a home. Income, location, the maintenance required when owning a home, as well as what kind of credit you have are all things to think about. If you decide that purchasing a home is a good idea, you should think about all factors and use them to determine not only what home you buy, but how much money you will pay for it. The Home Buyer's Guide (PDF) – Ohio's Dept. of Commerce Division of Real Estate and Professional Licensing ensures that realtors and appraisers are on the up-and-up. There's a very helpful affordability chart here. Borrower's Guide to Home Loans – This page has a great deal of helpful resources for helping buyers find the right home loan for them. DTI, PMI, ARM… (PDF) - What do all these acronyms mean, and how much is all this going to cost? Find some answers in this guide for first-time home buyers. A Big Deal (PDF) – Here is a two-page consumer alert provided by the Federal Trade Commission; it explains the difference between a real estate agent and a broker, and how to choose the best individual to either sell your home, or find you a home to buy. Residential Property Disclosure Act – Every home buyer should be aware of what this Act does and does not cover. Are you really ready to OWN? – Read the information found here and find out if ownership really is for you. Costs of Buying a Home (PDF) – Here is some great information about closing costs, down payments, mortgage info, and a wealth of other considerations for a potential buyer. What are Closing Costs? (PDF) – Utah State University Cooperative Extension provides straightforward definitions of closing costs and other costs involved in purchasing a home. Great Advice – For those who really don't know much about buying a house, this gives some great self-assessment questions, along with info on the entire buying process. Home Inspections - One of the most important steps to take when choosing what home to buy is the home inspection. Without a home inspection, hidden home dangers may appear after you have already moved into the house. It is for this reason that home inspection is imperative prior to purchase. When debating on buying a house, think about where you live now. If you are currently renting instead of buying, you are not accruing any equity in your property and there is no return on the rent money you pay each month. 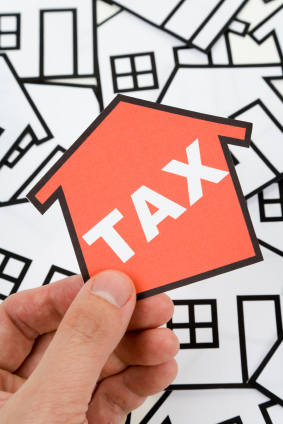 In addition, you do not get a tax deduction when renting property. If you buy, you're able to claim the interest you pay on the home each year on your annual tax return. When you own your home, you're actually a stakeholder in your property. A first home is just that: a starter home, so you are not locked into living there forever. If you have lived in your home for two years or more, you are eligible for the section 121 exemption on your taxes. However, if you've only lived in the home for less than two years and you choose to sell, you will have to pay taxes on any profits made from the sale of your home. Before you start filling out mortgage applications, take a look at your current budget. Think about your savings account, monthly expenditures, and how much income you are currently making. Think about the cost of the home itself as well as taxes and other monthly bills like electrical and water, food, home insurance, and even school taxes if you live in particular districts. All of this should be accounted for, and there should be some money left over for emergencies and other day to day expenses. You might even consider any daily commuting differences with a new address, as your monthly gas expenditures can be affected also. You do not want to end up being “house poor,' meaning you have a great home but cannot afford to do much else like enjoy a vacation or go out to dinner once in a while. Keep in mind the costs of home maintenance as well: such as lawn care and repairs to plumbing, the roof, and electrical issues should be considered in your overall budget plan. Think about your current credit score. This is a major factor for mortgage lenders when it comes to determining whether you're eligible for a home loan. You can use calculators to determine what you might be pre-approved for based on your current credit score as well as your debt to income ratio. If you find your dream home, find out what it is currently appraised for, and if the price is comparable to other properties in the area. Look into what the current taxes are on the property, and keep in mind that this will be factored into your mortgage payments. Check out the neighborhood and decide if they have a good school system for your children, if you have any or plan to someday. Does the neighborhood have a sense of safety? Are other homes in the area well kept? Do you feel safe there and is everything properly maintained? Remember, location is everything when buying a home. As for the home itself, make sure the kitchen is roomy enough and there are enough bathrooms and bedrooms. You don't want to buy that beautiful ranch if it's going to be too small for you and your family, while the cheaper Victorian home down the street has plenty of room. On the other hand, a house that is too large can also be a problem in terms of being too much to clean and to maintain. Check to see if the home is energy efficient and if the windows and doors are sealed properly. Does it have a good working heating and cooling system? Energy efficient homes are good for the environment and will save you hundreds per year on your energy bills, so it's definitely something to consider. Improve Your Chances of Getting a Mortgage – This article features six ways you can improve your chances of getting approved for a home mortgage. Buying a Home – HUD provides some excellent resources for people thinking about buying their first home. Home Maintenance Checklist – This helpful checklist contains several things all homeowners need to be aware of when maintaining their property. Ultra-Energy Efficient Home Design – This site has several resources all related to energy efficiency in the home, and what a truly energy efficient home should have. Assess Your Home – Use this tool to assess your home's or potential home's energy efficiency. Should You Buy a Home Right Now? – Read this article to help you determine if you should buy a home right now or wait. The Home Buying Process – This site has plenty of great advice to walk you through the home buying process. Title Insurance, Escrow (PDF) – This guide includes information on both of these and more, which can play a huge role in the home buying process. Home-Buying Contracts (PDF) – This gives a good look at what is expected of the buyer once the decision to buy has been made. A Guide to Home Loans (PDF) - Learning about the benefits of home loans and how much you can afford is important before your commitment to buy a home. Of course, how the home looks and feels to you should also play a role in determining which home to buy. If the home is laid out the way you want it, the colors inside and outside of the home suit your tastes, and the shape of the home are all things you like, then it should be a home to consider buying. Remember, this is where you will spend most of your time, so you want the home to reflect your personality. Think about things like parking, lawn maintenance, and the age of the home to help you in deciding on the right property for you. If you have kids or pets, a yard may be important as well. Make up a comprehensive checklist of all the things you're looking for in a home, and you will find the process to be much simpler and more fun.